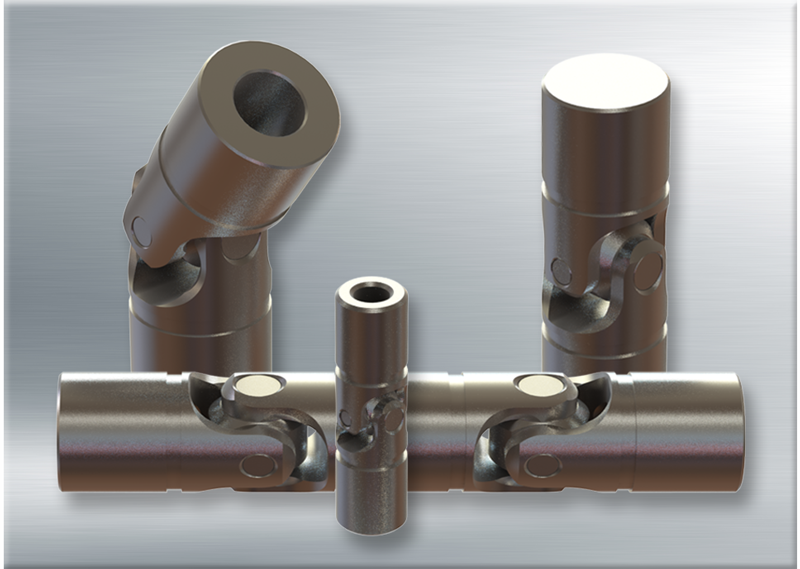 Stainless steel components are commonly used in sterile, sanitary and harsh environments where corrosion resistance and proper sanitation are top considerations. Belden's standard stainless steel joints made from AISI 303 and AISI 416 stainless steel. The joint yokes are 303 and the pins & blocks are hardened 416 stainless steel to provide higher strength and improved wear resistance. Yokes can be made from 303, 304, 316L, 416 and 420 stainless steel to meet the customer’s exact application specifications. For additional environmental protection, pins & blocks can be covered by lubricant retaining boots or manufactured from higher grades of stainless steel.